Technology controls our lives today – in more ways than we can think of. Most of the stuff we do between waking up, having breakfast, going to work, coming back, and having dinner have technology in it. Yet, the concrete of our houses and the various electronic gadgets do not always provide the best companionship – unlike a houseplant. It’s pretty to look at, and it brings a breath of fresh air to your home- some semblance of real life that you would cherish. A perfect ‘living decoration’ to add in your house, it is subtle to look at and has a comforting feel to it. It also serves as the perfect Christmas tree decoration if you want it to be a part of festivities. 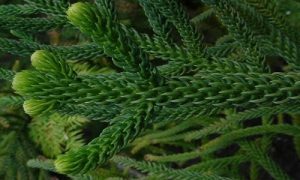 The Norfolk Island Pine grows around 10 feet tall indoors, but bear in mind that it requires plenty of exposure to light and fresh air. Otherwise, it becomes dry and a target for those pesky spider mites. 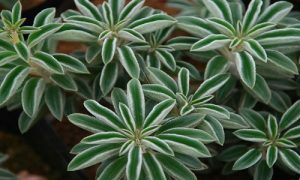 The Peperomia is little in size, with long and waxy leaves of different shades of green. It adds a spark to your living room, while maintaining a soothing environment. As it is not a very tall plant, you needn’t worry about how much space it will occupy. Always check if the surface of the soil is dry before watering this plant. 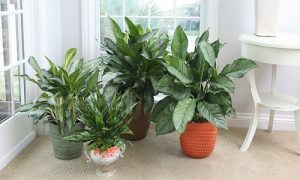 The Chinese Evergreen is a bright and bushy plant that has lots of leaves, and gives your room a sense of light and air that is a treat to all your sense. It looks pretty and is hence a great addition to your house. Make sure the plant remains evenly moist inall its parts. If you want something off the ceiling, this houseplant is the one for you. It is a vine and not a pottedplant, but it will make for a beautiful hanging basket decoration. The plant is vibrant which reverberates in its surroundings, regardless of where it is hung. Like the Chinese Evergreen, the Grape Ivy needs to be kept evenly moist for proper maintenance. Doesn’t itself name sound exotic? Well the Dracaena lives up to the expectations and is a really beautiful plant to have in your house. The green and yellow pattern on its leaves are great to look at, and it surely brightens your surroundings. It can grow to be around 10 feet tall, just make sure to keep the soil surface dry between your watering periods because it gets affected by how excess hydration. Also, please remember that having this plant around a dog can be hazardous. 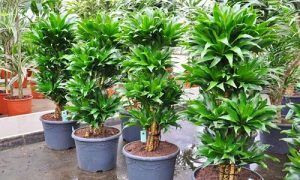 The Dracaena can be poisonous to dogs if they consume it. So what are you waiting for? Choose the one that appeals to you the most, and order a houseplant to give your home that makeover you have wanted for some time. Next Post: Why is Ecological Restoration Beneficial for your Garden? Why is Ecological Restoration Beneficial for your Garden? Copyright © Versicolores, 2019. All Rights Reserved.